Edmunds’ Most Wanted awards have honored the Chrysler 300 as the winner of its Large Car segment. The 2018 Edmunds Most Wanted Awards is given for 17 different segments. The way the winner is chosen is by analyzing the data from the first nine months of 2017 for all models on sale during that period. From there Edmunds checked their site activity to see the vehicles in the different segments and their highest sales and the lowest average days-to-turn. Then rankings for each were then weighed to figure out the winner of each category. 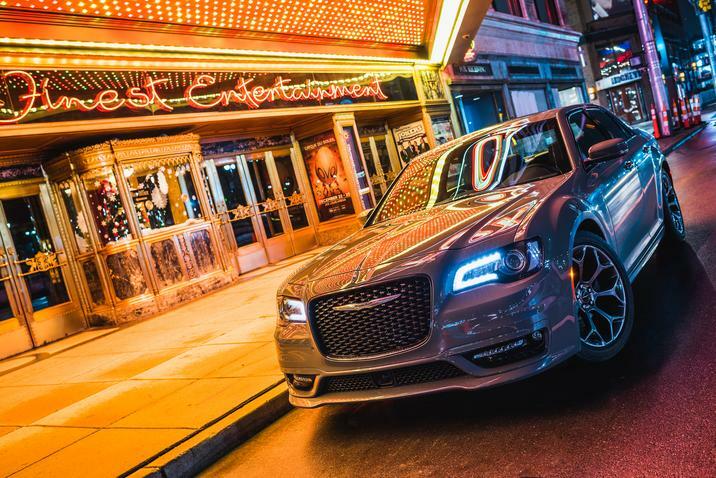 “Bold and aggressive, the Chrysler 300 stands out in a class of largely look-alike sedans, and its originality makes it one of the most popular large cars on the market,” said Jessica Caldwell, the executive director of industry analysis at Edmunds. The 2018 Chrysler 300 3.60-liter V-6 models are available with the segment’s most technologically advanced all-wheel-drive system. It also features class-exclusive innovations with the Uconnect 4 system. This entry was posted in Chrysler 300, Chrysler News, New Car, Used Car and tagged 300, Awards, Chrysler, Edmunds, most wanted, New Car, Sedan, v-6 by baysideadmin. Bookmark the permalink.